Why Americans are getting unhappier and the 10 happiest countries in the world. 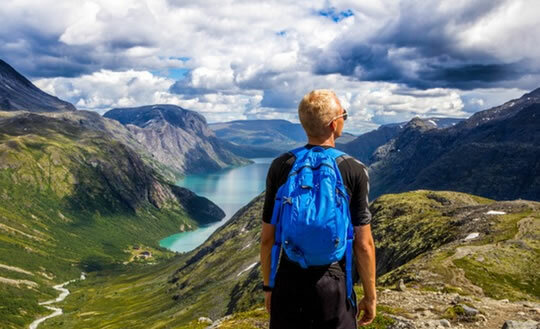 Norway is the happiest country in the world, closely followed by Denmark and Iceland. The United States, though, has become 5% unhappier over the past 10 years, despite people earning more money. The trend in happiness is the reverse for most countries, which have become happier. The US came 14th on the list and the United Kingdom ranked 19th. Canadians lived up to their reputation by ranking at number 7 on the list, while Australia came 9th. “It’s the human things that matter. If the riches make it harder to have frequent and trustworthy relationship between people, is it worth it? “We’re becoming more and more mean spirited. And our government is becoming more and more corrupt. And inequality is rising. I don’t think Denmark has a monopoly on happiness. It is no accident that the unhappiest countries in the world are also the poorest. But many researchers agree that above a certain level, more money doesn’t equal more happiness. The research was published in the World Happiness Report 2017.